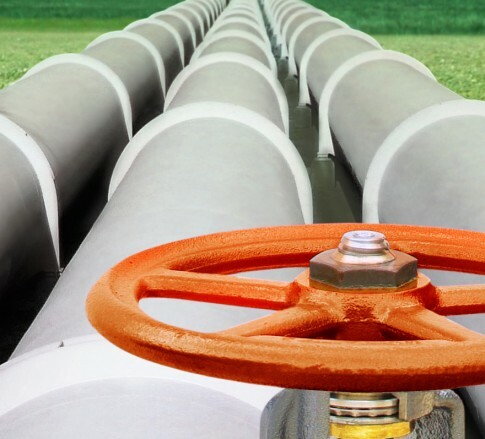 Virginia statutes establish a mechanism for natural gas companies to gain access to properties for conducting surveys, examinations, appraisals and tests without the written permission of the landowner. The procedure requires: First, that the gas company send a written request by certified mail to the landowner seeking permission to access the property. The request shall set forth the date such inspection is proposed to be made and must be made at least 15 days prior to the proposed date of inspection. Second, if permission is not granted prior to the proposed entry date, then the company must send a notice of intent to enter by certified mail and again set forth the date of the intended entry, again at least 15 days prior to that date. Here, The Court ruled that the first effort by Atlantic Coast Pipeline LLC (ACP) was deficient because its notice of intent to enter, issued after permission was refused by the Chaffins, did not provide a date certain for the intended entry. Instead, the notice provided that ACP intended to enter their properties on or after a date certain. This notice, the Court ruled, violated the obligation to provide notice of the date of the intended entry. Apparently, ACP had since provided a new notice to the Chaffins, but the Court declined to dismiss the case as moot because ACP continued to argue that its original notice was not deficient. In any event, the Chaffins victory provides them with no real measure of relief. corporation organized as natural gas company. Palmer, though, offered a second argument that foreign-organized companies cannot use the Virginia right of access provisions. She argued that to construe the statute as allowing non-Virginia organized companies a right of access created an impermissible conflict with Article IX, §5 of the Virginia Constitution. That provision states that [n]o foreign corporation shall be authorized to carry on in this Commonwealth the business of, or to exercise any of the powers or functions of, a public service enterprise. The Court, however, declined to address the argument because Palmers counsel did not raise it in the trial court and did not properly present it in Palmers opening appeal brief. Instead, her counsel sought to preserve the argument with a simple reference in the opening brief, explaining that he thought the argument was a silver bullet that he intended to explain in detail only in a reply brief after seeing the arguments of ACP. As a result, the argument remains available for others to advance. Lastly, the Court considered and rejected several other arguments by Palmer that her Constitutionally protected private property rights included the right to exclude access to her property, notwithstanding statutory provisions granting gas companies a right of access. The Court observed that the common law has long recognized that the right to exclude is not absolute and does not allow Palmer to exclude ACP.